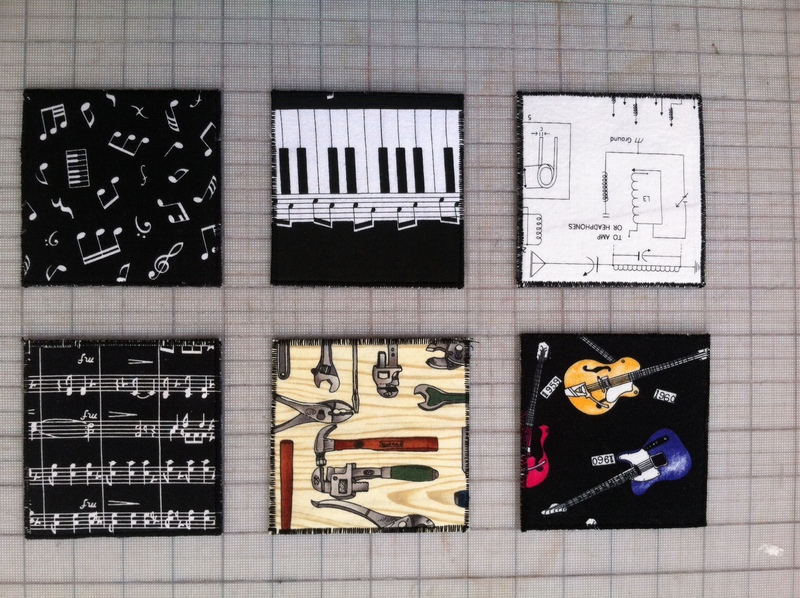 My first born, who is pursuing an MFA in sound design, requested a placemat and coasters, with relevant fabrics. I went to Stonemountain fabrics, and found radio frequency fabric! 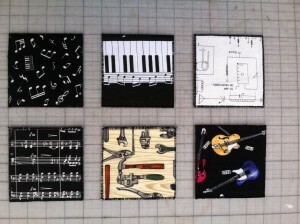 I also used music note, hand tool, electric/acoustic guitars, and piano fabric from my stash. I made a wonky log cabin, since I’m teaching that at HelloStitch in Feb. I actually like the back better than the front. 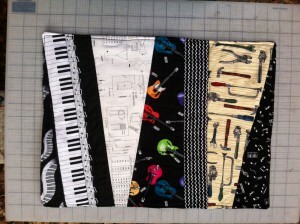 I think it shows off the different fabrics better. 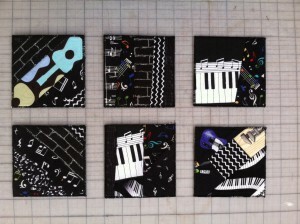 Here are both sides of the coasters. They don’t really have a front and back. I didn’t do much piecing on these, since it didn’t seem to add anything. 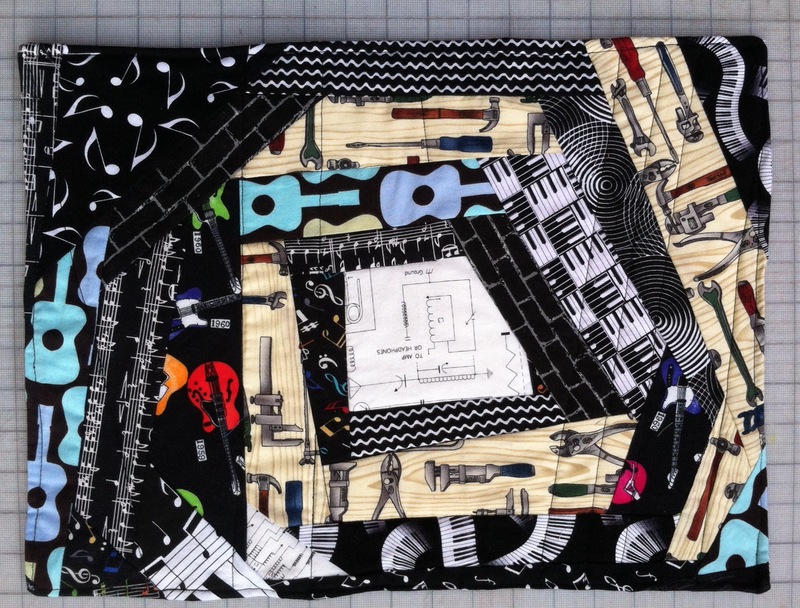 This entry was posted in Improvisational piecing, Work In Progress. Bookmark the permalink.